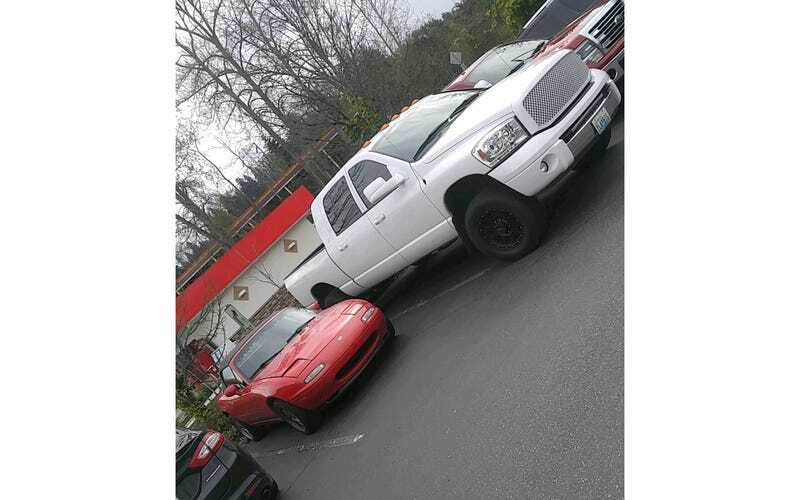 Edit: while I was in the gym, the white truck had its drivers side window smashed. Why are people like this? Really hoping the perpetrator was caught on camera and gets caught by the police. Or better yet, by the very unhappy driver.